Lesson of the day, nothing we do and I mean NOTHING we do is insignificant...we just can't see the big picture...so live each day and do each task to the best of your ability....you never know who's life you are touching! Ok here is the card I made this am for Karen. I used the crinkled chalk technique for the BG. 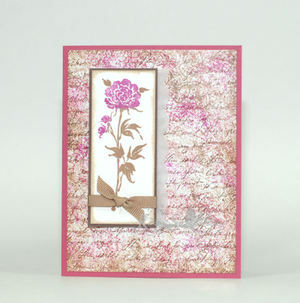 All stamps are from Impression Obsession Enjoy!